Soon. Very soon. 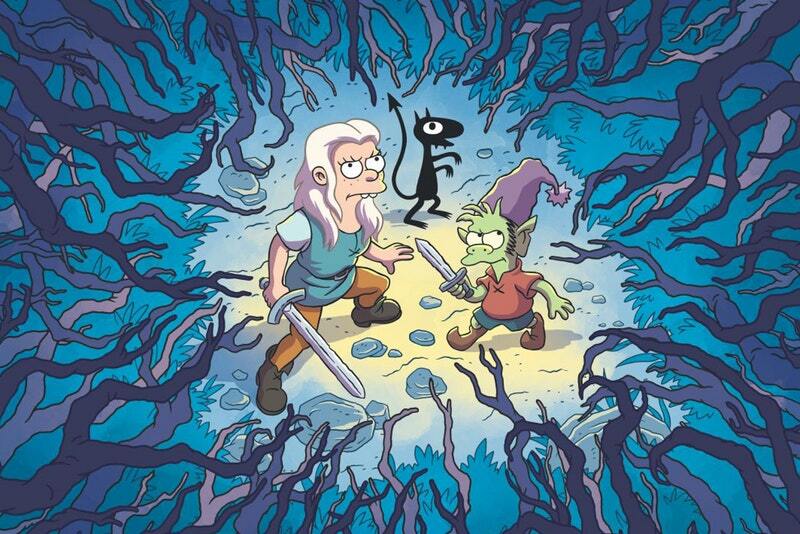 Did you hear that The Simpsons’ mastermind Matt Groening is releasing a new series called “Disenchantment” to Netflix? 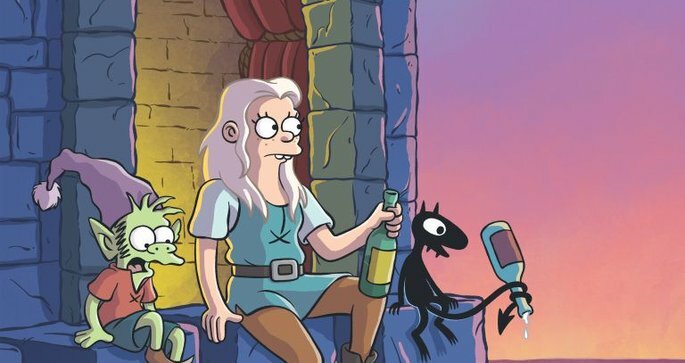 This new animated series will star Broad City’s Abbi Jacobson as a “hard-drinking young princess” called Bean. She’ll be joined by a “feisty elf companion” voiced by Nat Faxon and a “personal demon” voiced by Eric André. Having a personal demon character – there’s bound to be gold there. The show is chalked full of amazing voiceover actors; John DiMaggio, Billy West, Maurice LaMarche, Tress MacNeille, David Herman, The Mighty Boosh’s Matt Berry and Noel Fielding. 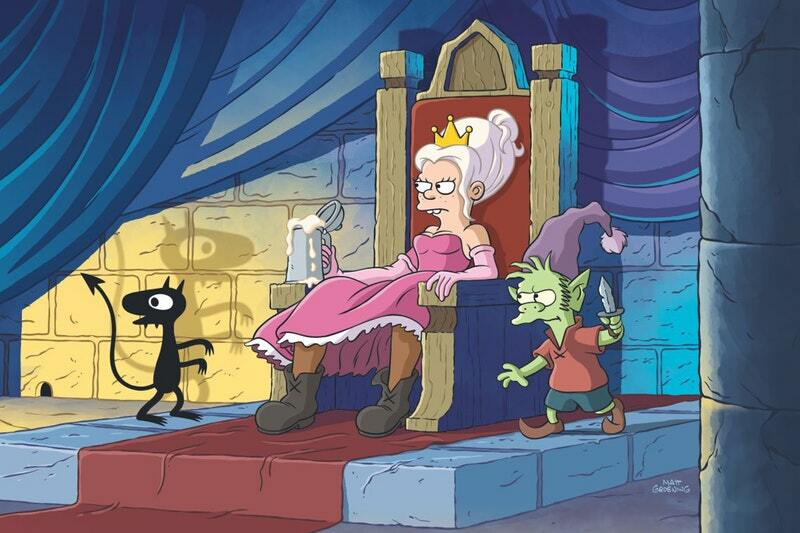 ‘Disenchantment’ is set in Dreamland; a medieval kingdom where Princess Bean and her friends encounter ogres, sprites, harpies, imps, trolls, walruses, and horrible humans. Netflix originally ordered 20 episodes for the first season – turns out there’s only going to be 10 episodes. It will be on Netflix on August 17. 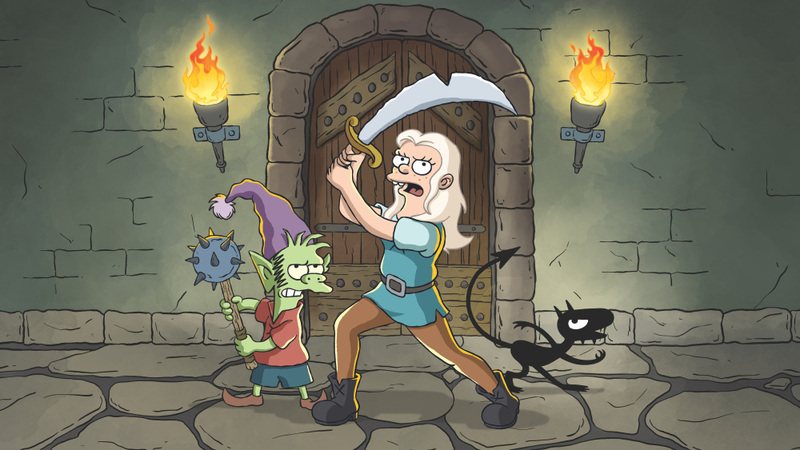 Will “Disenchantment” live up to what Groening has done in the past? Probably. You gotta think he wouldn’t release something that would get panned by the critics. Can’t wait!